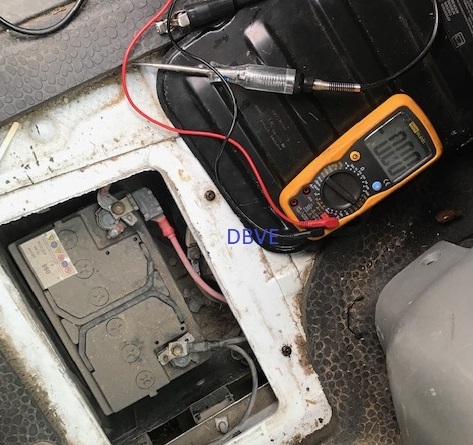 We got called out to a vauxhall Vivaro which was suffering from a major power loss such as no electronics dash, lights, windows, locking and engine starting. Apon diagnosing the vehicle we found the battery connections to be in a very poor state. Due to the original battery being mounted under a metal panel in the floor it is exposed to the outside elements. This area caused the battery connections to become so corroded they wouldn’t allow the current to pass through. We striped the whole thing down and cleaned every connection. after we were finshed we greased all the areas to stop the rust from attacking this area in the future. When we left the vehicle was back to normal with funtioning lights, locking, windows, and engine starting. We are fully mobile in the local Lincolnshire area. Call 07340 341790 for all your auto electrical requirements.